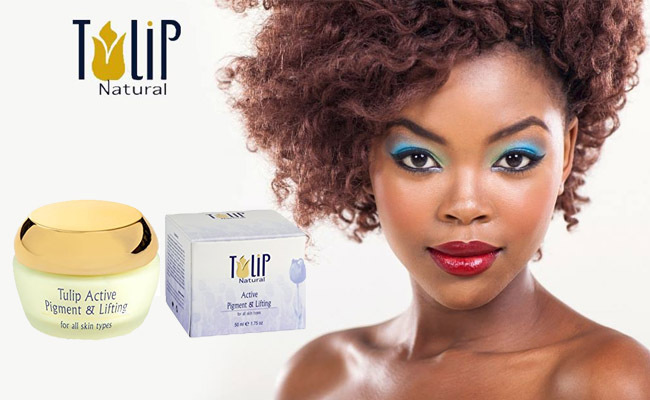 Is the Skin Brightening Cream by Tulip Natural the right choice for you? What are its main ingredients and how to they work? Are there any rules to keep in mind when using it? 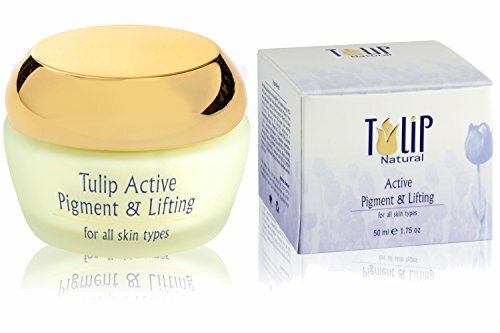 When you’re looking for a cream that doesn’t just address the hyperpigmentation issues, but also brings other benefits to your African-American skin, take a confident leap of faith with the Active Pigment & Lifting Cream – Hyperpigmentation and Dark Spots Corrector by Tulip Natural. The cream is made with several natural ingredients and has no parabens so it’s not only able to fade out the dark spots of various causes, but also improves the overall appearance of your skin. Even though the cream isn’t especially made for the black skin, it’s going to work just the same on the African-American skin. You’re not going to find hydroquinone among the ingredients, but this doesn’t make the cream any less efficient. The combination of Retinol, glycolic acid, AHAs and multiple natural ingredients make the skin work on whitening age spots, dark spots, sun spots, melasma, hyperpigmentation or freckles. Additionally, the cream minimizes the appearance of fine lines and wrinkles, giving a healthy and nice glow to your skin. If you’re looking to have all of that and a bit more (who wouldn’t? ), than it’s time to give it a go. The list of ingredients is rather long, but we’re only going to focus on the most important and most popular ones. Retinol-it’s a popular ingredient that fights efficiently against hyperpigmentation, evening out your skin tone. It’s able to lighten dark spots and to moisturize a dry skin. It’s great for the oily skin and also diminishes the skin aging signs. It keeps acne at bay and sooths symptoms of rosacea as well. Glycolic acid- it’s always a safe choice for the sensitive skin and gives no irritation. It works against fine lines and wrinkles and diminishes the scars. It’s great at boosting the collagen production and removes dullness from your skin. It smooths skin and leaves it fresh and younger looking. Lactic acid- it improves hyperpigmentation in skin and fades out the early signs of aging. It’s great for the dry skin and sustains the collagen production too. Mulberry root extract- it’s known for clearing the dark spots and blemishes. It softens the skin and has anti-aging abilities too. It’s great for the dry and sensitive skin. Bearberry extract- it whitens and brightens skin tone, fading out hyperpigmentation. It contains allantoin so it comforts a damaged skin. It’s safe for the sensitive skin and offers protection against sun’s bad UVs. Aloe Vera- it’s a great moisturizer that calms sunburns and alleviates symptoms in eczema psoriasis. It keeps acne at bay and fights against skin aging altogether. It minimizes the appearance of stretch marks, making your skin younger and healthier. The cream has a nice, yet subtle scent that doesn’t linger for long on the skin. You may perfectly combine the cream with other cosmetic products. Despite the fact is strong, the cream has a rather lightweight consistency so it’s easily absorbed into the skin. Not only the formula is loaded with all of these well-known powerful ingredients, but it also has no parabens, which is why it’s safe on most skin types. On top of everything else, the formula is FDA approved so it works, while being safe too. As the formula of the cream is powerful, without containing harmful ingredients, you can use the cream for a long time. You should be able to see results after 3 or 4 weeks. If you’re dedicated and use it religiously, you’re even going to appreciate the dramatic changes after 3-4 months of use. What’s our final thought about it? Regardless of the minor and inherent issues or the extra buck you have to pay for it, the cream doesn’t disappoint when it comes to whitening the skin or helping it look younger and healthier. Don’t you think your skin is worth it? Other similar products we have reviewed: the Meladerm Whitening Cream, the Admire My Skin 2% Hydroquinone Dark Spot Remover, the TruSkin Naturals Vitamin C Serum, the Neocutis Perle Skin Brightening Cream, the Chantecaille Blanc Gardenia Brightening Essence. Next Next post:Did You Ever Think About Using Dr. Jart V7 Toning Light for Toning your Skin?